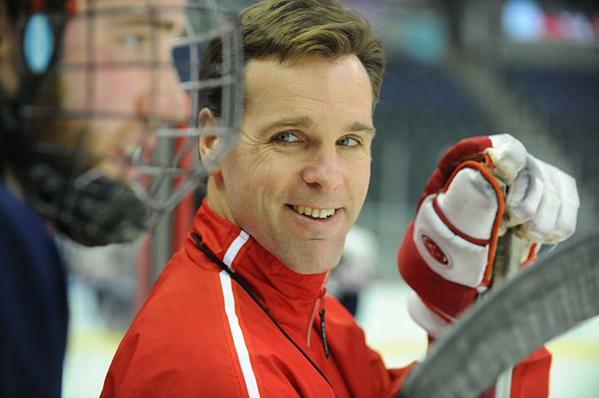 According to multiple reports, Terrier Head Coach David Quinn will step down after five seasons behind the BU bench to take the reins of the New York Rangers. While an official announcement is unlikely until early next week, sources have reported Quinn’s contract will bring him $12 million over the next five seasons. Quinn and Denver’s Jim Montgomery had been mentioned in news reports as candidates for the New York job since late April. Montgomery recently signed on to coach the Dallas Stars. It was widely reported that Quinn, who had initially been contacted by Rangers assistant GM---and former BU All-American Chris Drury—had rejected the Rangers’ offer and was telling friends he would return to Agganis Way. Should he, in fact, become the Rangers’ head coach, he’ll have an instant trans-Hudson BU coaching rivalry with the Devil’s John Hynes, who recently completed his second year in New Jersey. A third former Terrier coaching in the NHL’s Metropolitan Division is Mike Sullivan, who led the Penguins to the 2016 and 2017 Stanley Cup championships. Taking it a step further—seven of eight current Metropolitan Division coaches are former college players. The others are Islanders’ Doug Weight (Lake Superior State), Flyers’ Dave Hakstol (North Dakota) and Columbus’ John Tortorella (Maine). 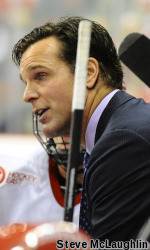 During his five seasons at BU, Quinn compiled a 105-68-20 record winning the Hockey East title twice and the Beanpot championship once, while reaching the NCAA tournament four times, including the national championship game in 2015. With the Rangers, Quinn would be reunited with former Terrier All-American Kevin Shattenkirk, whom he mentored while Associate Head Coach under Jack Parker. Quinn was a standout defenseman for three seasons at BU in the mid-80s before a blood disorder put him on the sidelines. A 1984 first-round pick of the Minnesota North Stars, he attempted a comeback in the early 1990s including one season with the Rangers’ AHL franchise. Speculation about a successor to Quinn was immediate. Along with Associate Head Coach Albie O’Connell, who has been on Quinn’s staff the past four seasons, names being mentioned include former Terriers Joe Sacco and Jay Pandolfo, both currently Bruins’ assistants. The Massachusetts Final 40 tournament for choosing participants in USA Hockey’s Select 15, 16 & 17 development camps begins today with 2020 recruit Braden Doyle skating in the 2001 birthdate event. This past season, Doyle was the top-scoring defenseman at Lawrence Academy with 24 points in 31 games. Former Terriers Mike Grier and Carl Corazzini are among the event coaches, while three sons of former Terriers are also among the participants: Jack Bavis, Jayden Grier and David Sacco.